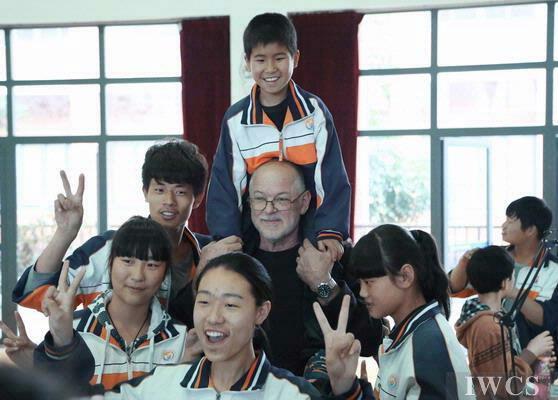 Wenzhou School for Special Education is the leading school for students with special needs and is situated in a beautiful natural setting north of Wenzhou city. 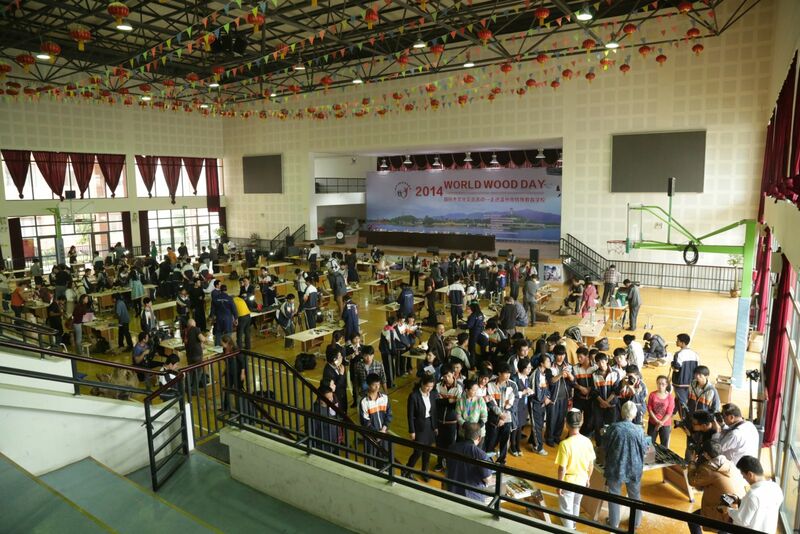 The World Wood Day celebration reached out to individuals with physical challenges. 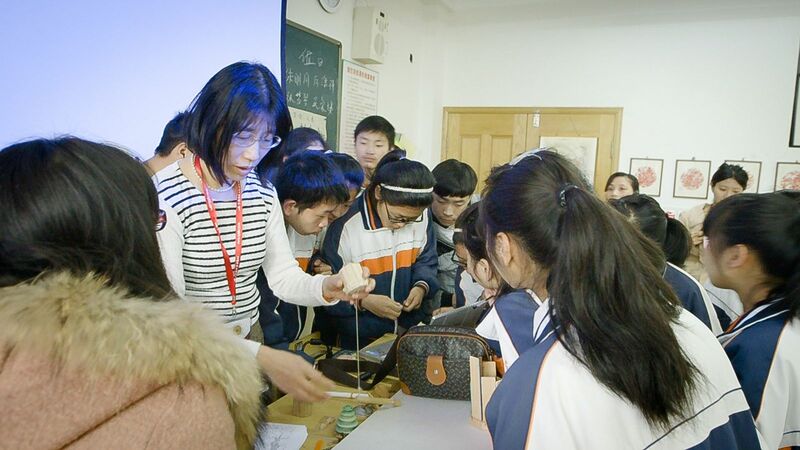 The program was developed in coordination with the Wenzhou School for Special Education and introduced wood culture to the students from March 27 to 30. The school currently has 64 classes and 950 students enrolled. 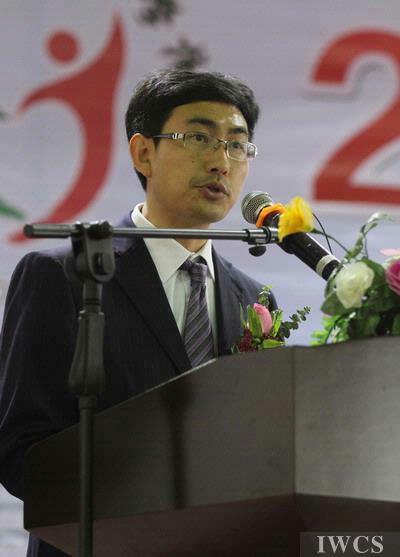 Authorities and representatives gave speeches during the opening ceremony. 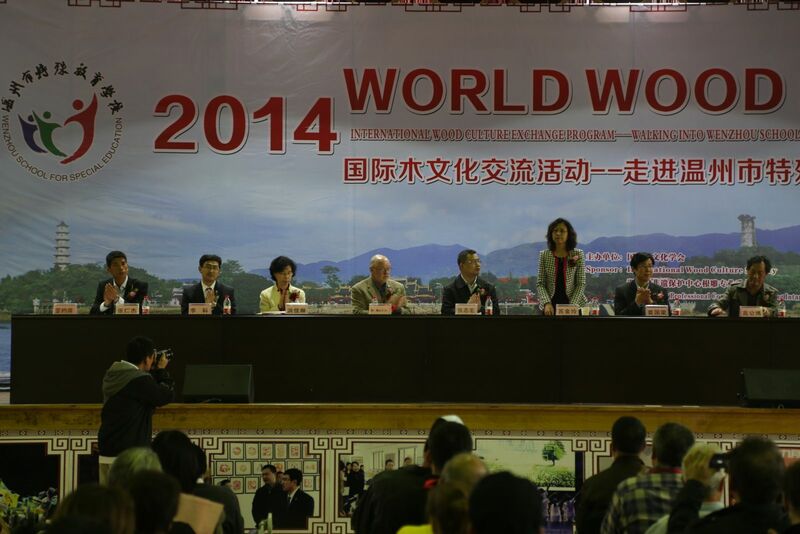 General Coordinator of WWD Event Jinling Su (standing) and local officials extend a warm welcome to the international guests. 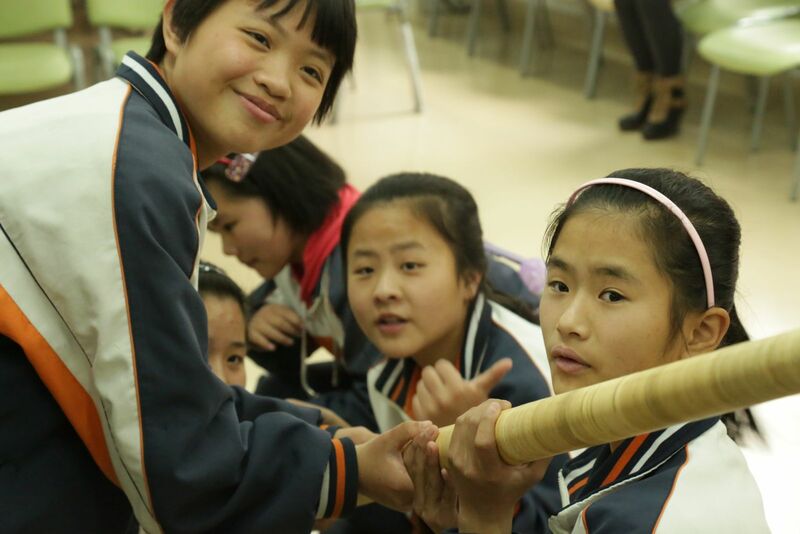 “Our school has been devoted to the happiness and future of the students with special needs.” said Ke Li, the principal of the school. 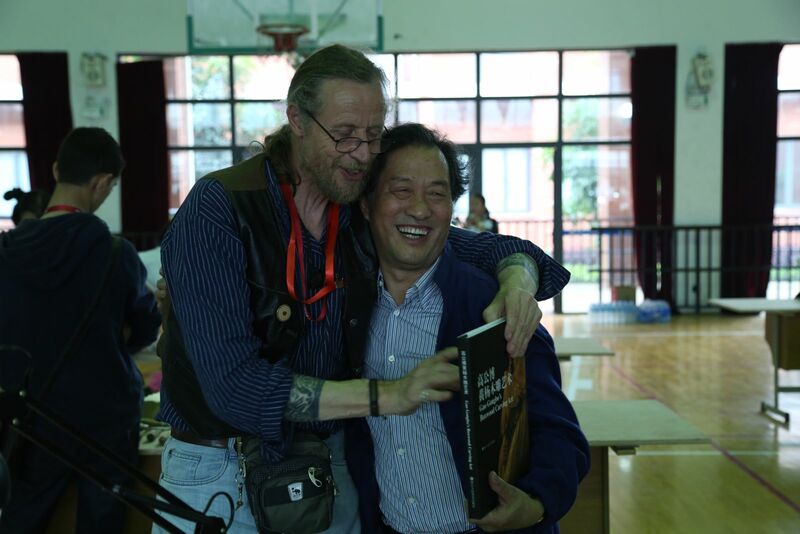 Mr. Gongbo Gao, master woodcarving artist in the Asia-Pacific, speaks as the General Counsellor of Teaching and Learning of the school. 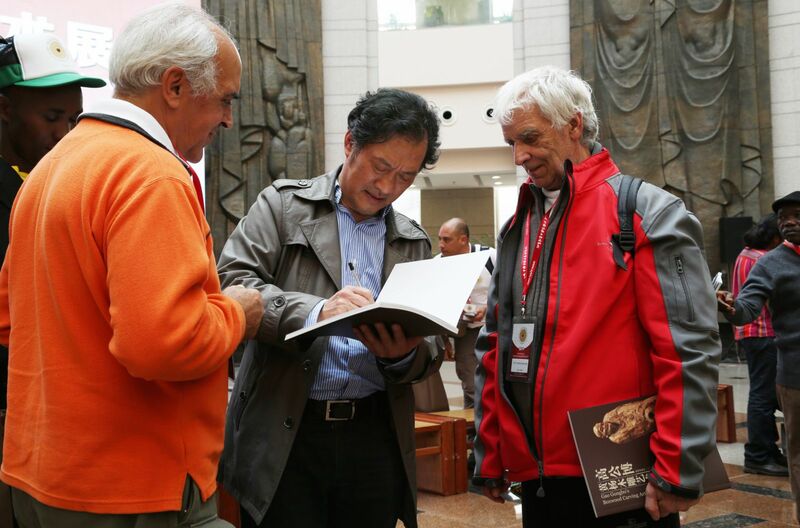 The artists and performers from over thirty countries provided fundamental knowledge and demonstrations for the students and welcomed them to experience the art. 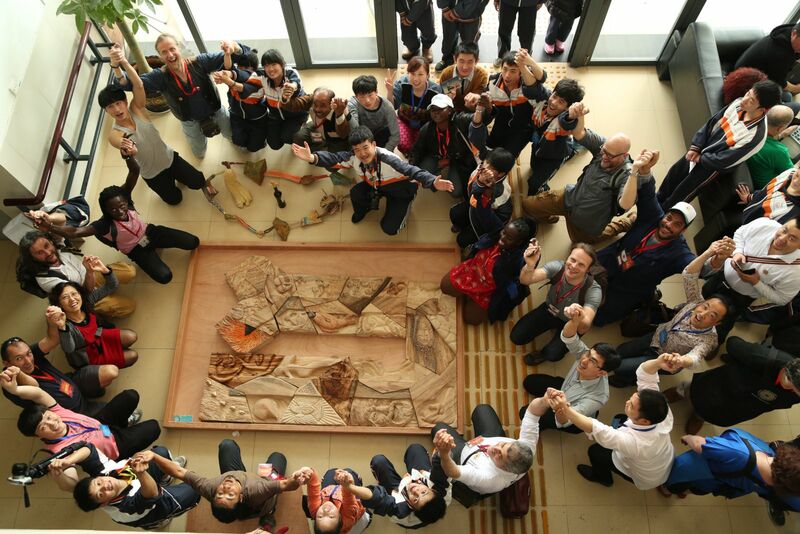 Hundreds of students pack into the workshop for an extraordinary cultural exchange opportunity with international woodcarving artists. 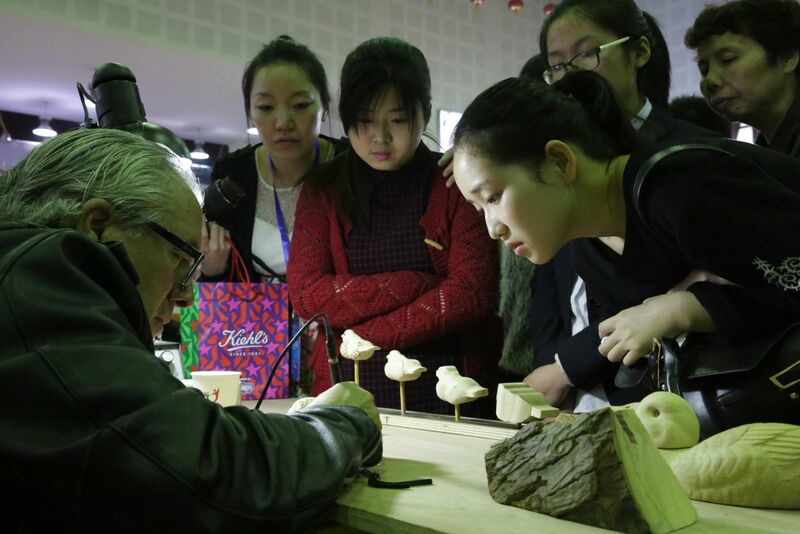 More than forty sophisticated professional woodcarvers kept their spirits high during this post-WWD event when sharing their skills and enthusiasm with the students. They were able to adapt themselves to the new conditions with some measures that helped overcoming the students’ barriers. 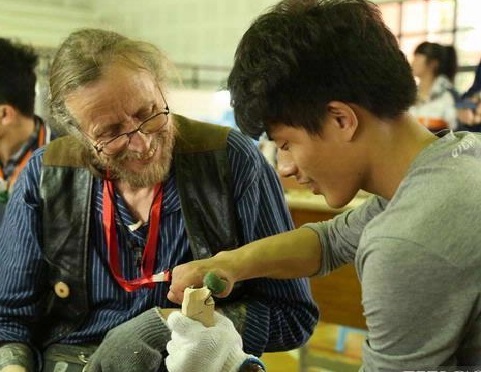 The artist catches the attention of the students of various ages. The artists demonstarte the working process carefully to the students. 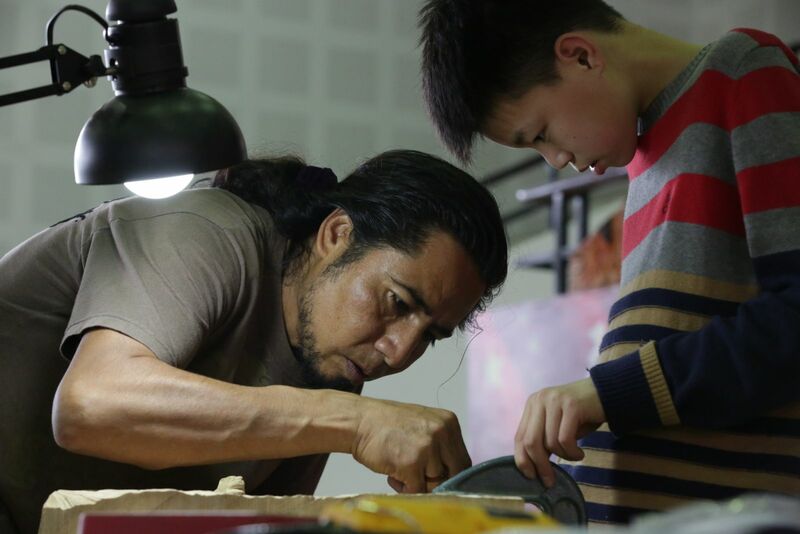 A young learner watches the artist closely, showing his keen interest in woodcarving. Despite the limitations, the pleasure and enjoyment can be clearly seen on both the students and artists’ faces as they communicated with signs and gestures during the sessions. The workshop was very close knit that created a cheerful atmosphere where everyone enjoyed themselves. 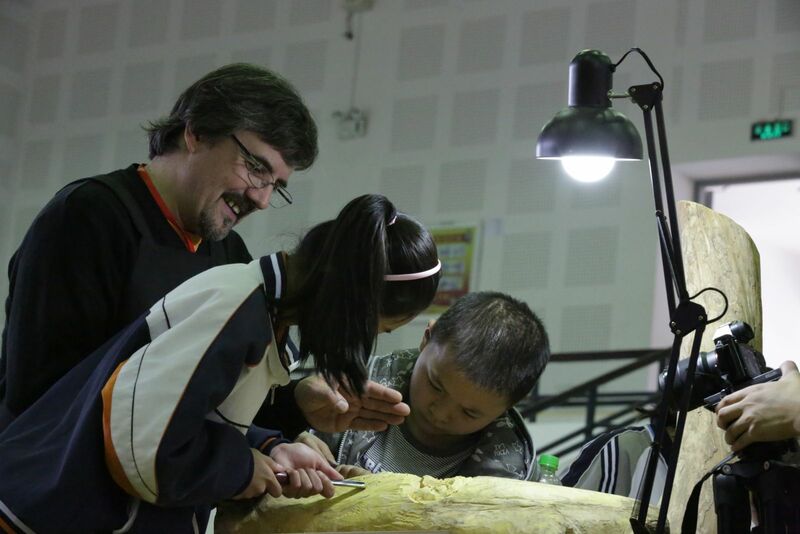 Some artists allow enthusastic students to carve by themselves under guidance. Some artists lead hands-on practice. A school teacher leans towards the artist and gazes at his work. Five woodturners from Australia, Ireland and the States were also on hand to teach the basics of making wood objects on the lathe. 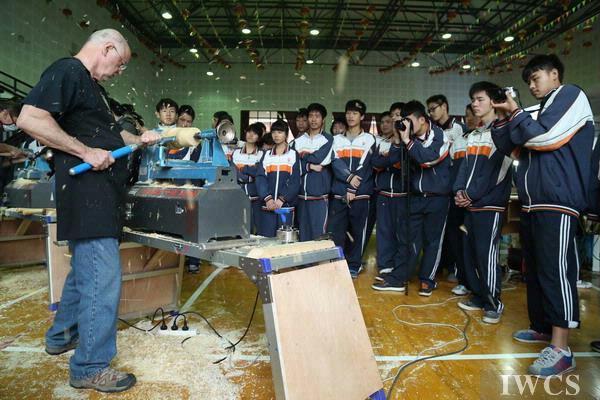 The students take photographs while watching a demonstration of woodturning techniques. 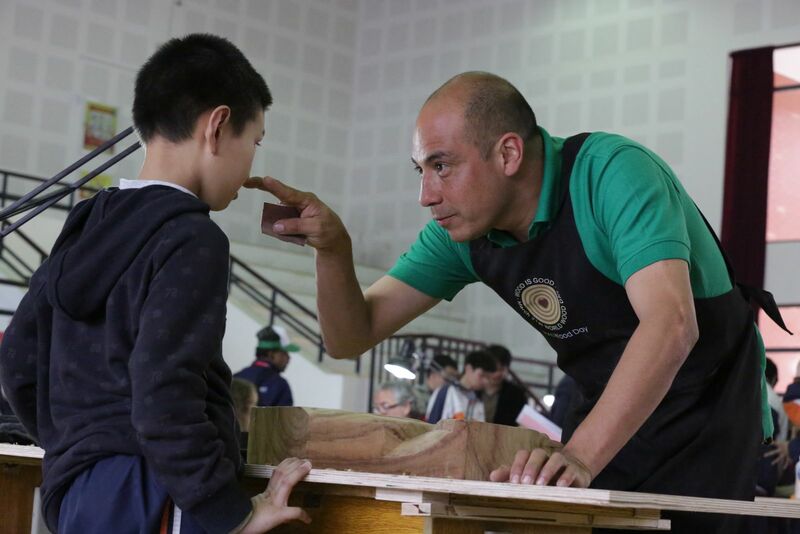 Woodturning with its mechanisms shows a new aspect of woodworking to the youth. 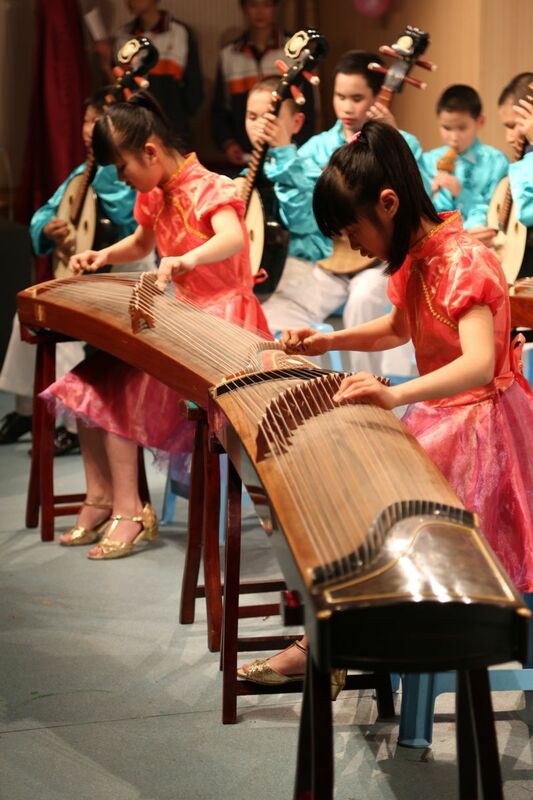 Each of the nine musicians and dancers made a deliberate effort to help the students to experience and appreciate the beauty of music during the wooden music session. The students are all smiles when holding a Swiss alphorn for the very first time. The students touch and feel all the parts of the alphorns to “listen to” the music in an alternative way. Guided by the musician, the students try to feel the sound vibrations of the Australian didgeridoo with their hands. The dancer communicates with movement and rhythm to the students, making exciting interactions during the African wooden drum dancing session. 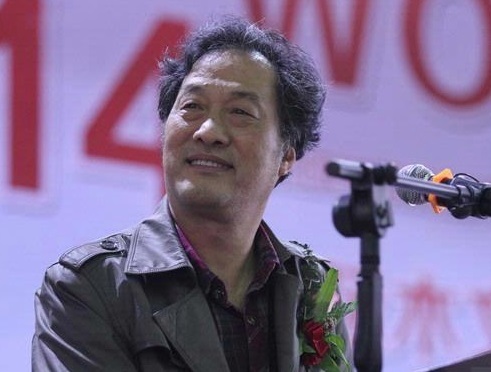 Prof. Yang Ping designed a class exclusively for the exceptional students that imparted wood and forest information to a younger generation. 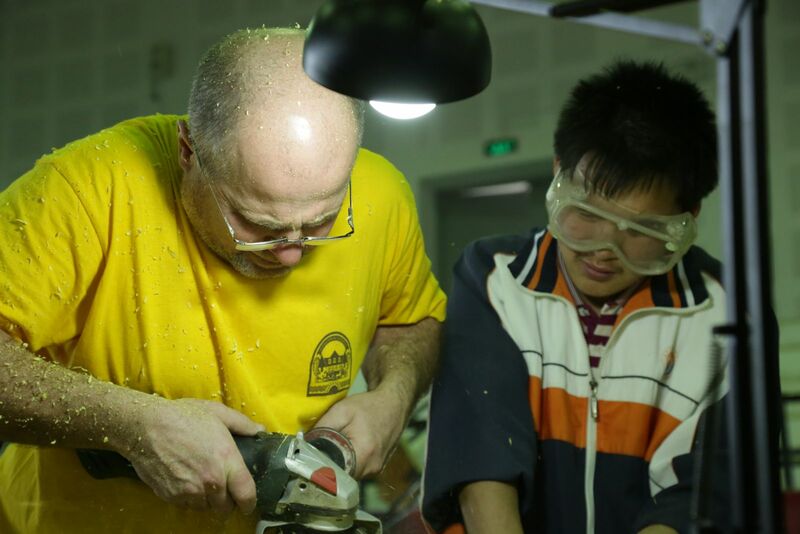 The wood education class led by Prof. Yang Ping is very well received by the students. The students have fun while focusing on the instructor. 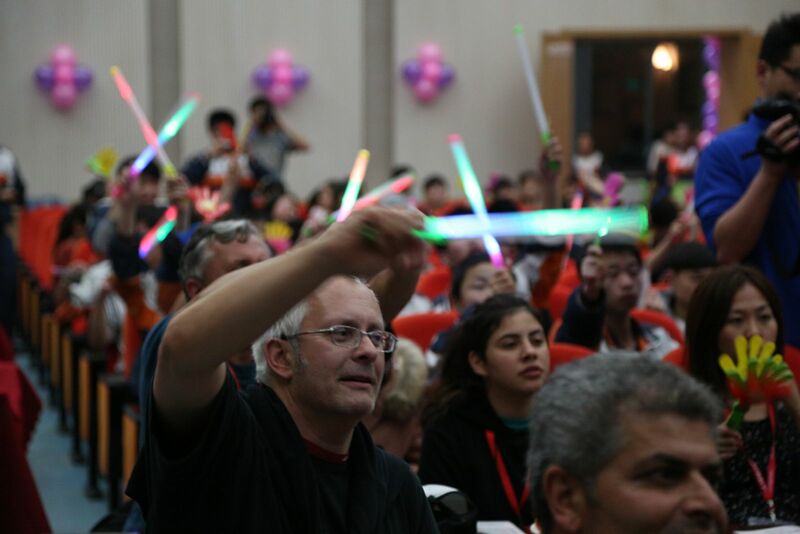 A festive concert entitled “Together with You” was organized by the school to present music, dancing, singing and other entertainments to all the guests on March 28th. The students show their multiple talents for music and dance on stage. The international artists both on and off stage have a wonderful evening with the students and teachers. Student representatives present a beautifully hand-crafted wooden artwork entitled “The Sun and the Moon Alike” to IWCS on behalf of the school. 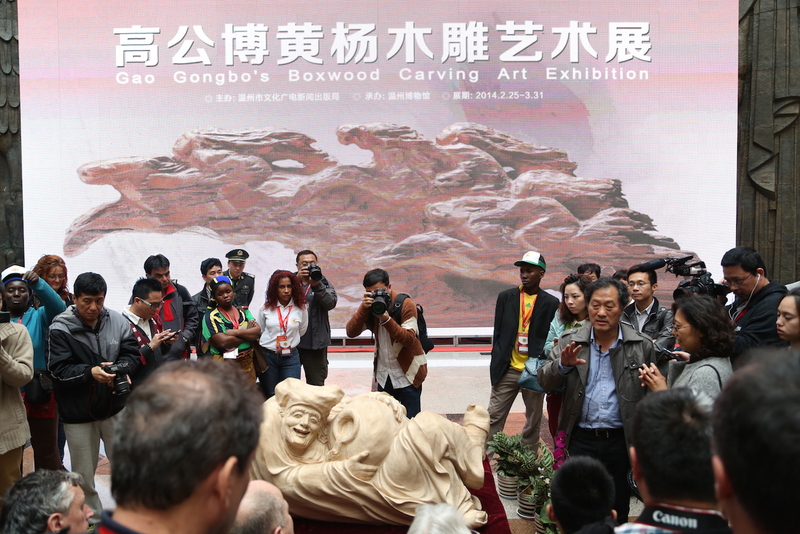 The visit to the Exhibition of Gongbo Gao at the Wenzhou Museum was a great experience to see Chinese Boxwood carving for the international artists. All the artists made this intercultural initiative very rewarding and successful. Inspired by the program, some artists started planning to join charitable projects for those with physical challenges in their home countries. The school kids and the artists have fun with each other at the workshop. Everyone embraces the big occasion full of sincerity, optimism and generosity. All enjoy a quality time learning and making new friends. Interpersonal relations grow stronger as the event approaches the end. It is all bonded in love. 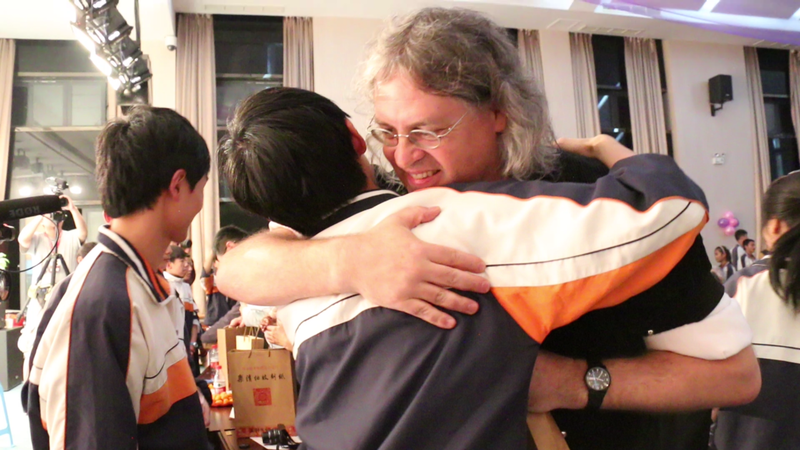 As the journey concluded with laughter and best wishes, the prospects are bright and friendship is everlasting. A large-scale jigsaw artwork illustrating “Love”, which is created by the international artists with the student, is dedicated to the school. 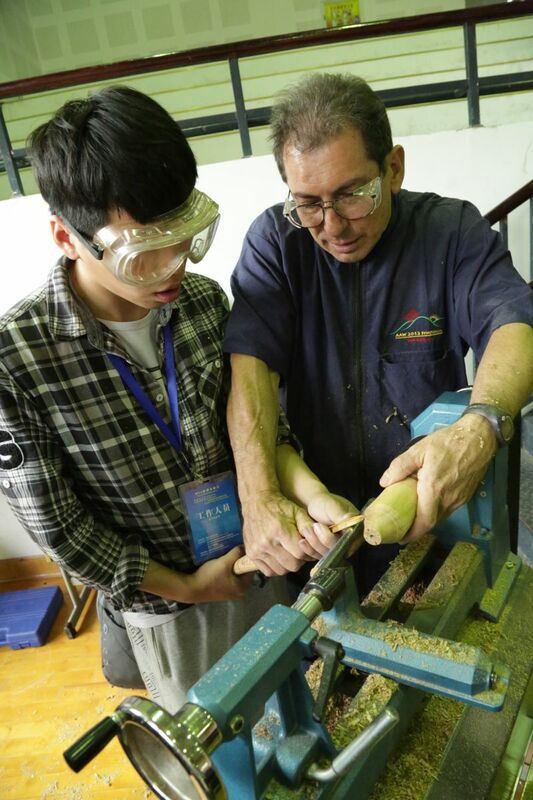 After the program concluded, IWCS, American Association of Woodturners (AAW) and the school officials agreed to partner to implement a program to teach wood arts and crafts, such as woodturning and woodcarving, to the students. 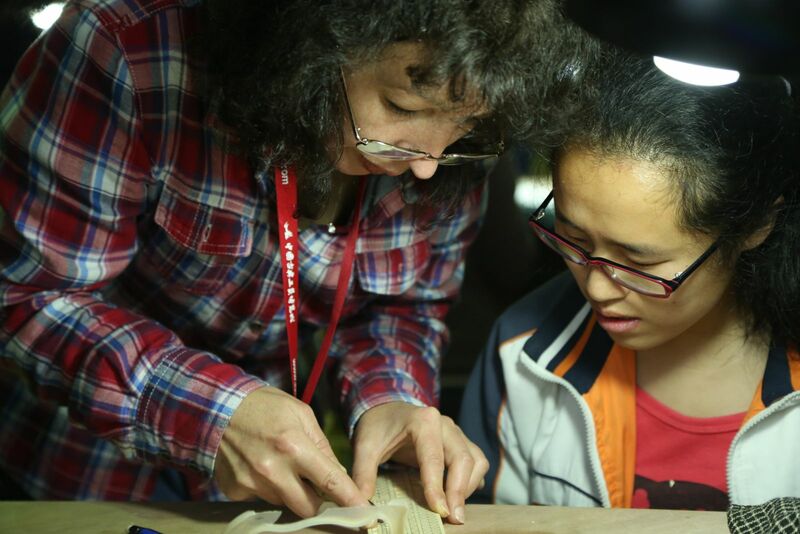 The Wenzhou School for Special Education and IWCS will also implement more programs for future international wood cultural exchanges.